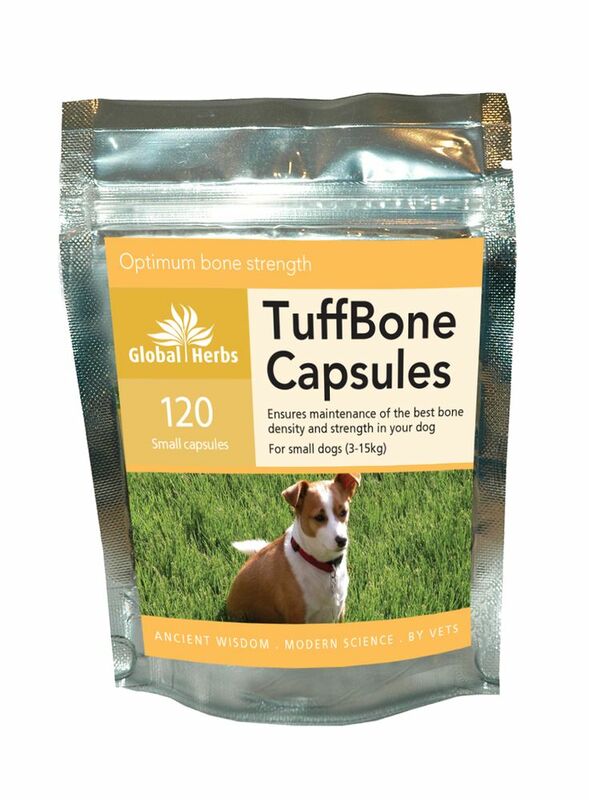 Global Herbs TuffBone Capsules are a unique formulation which encourage the optimal uptake of calcium, phosphorus and magnesium for your dog. . TuffBone Capsules help to promote bone health whilst also encouraging normal joint function. There are currently no questions for Global Herbs TuffBone Capsules for Dogs - be the first to ask one!